George has been in the hair industry for an impressive 40 years. Born and raised in Gaeta, Italy, George attended Maritime School and spent three years in the Italian Navy before deciding to follow his dreams and move to America to pursue a completely different career, hairdressing! 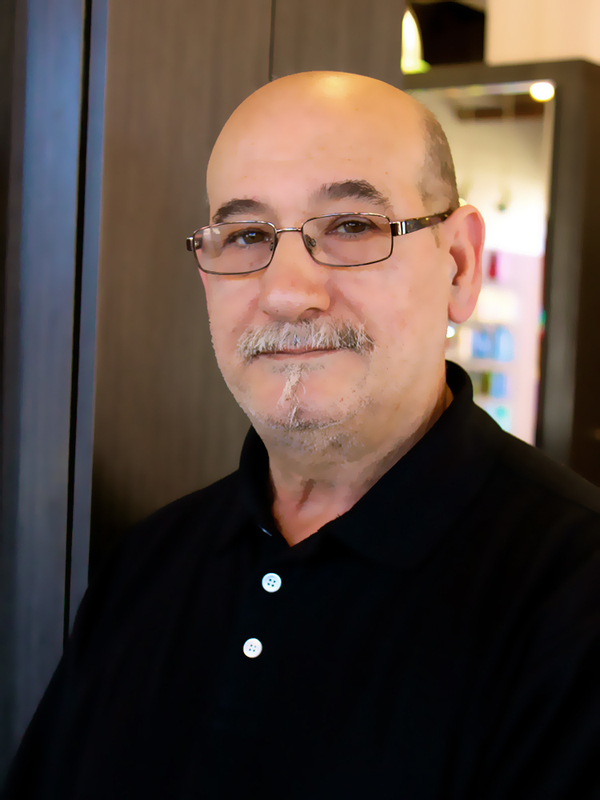 He attended cosmetology school in Cambridge and worked in an Arlington salon for a couple of years before opening Hairmates Salon in Stoneham in 1977 with his two brothers, Joe and Michael. Even with his extensive years of experience, George continues to expand his knowledge by attending regular training classes and seminars on all the latest cutting, styling, and coloring techniques and products. He holds certifications in everything from Goldwell and Wella coloring to Deva Cuts to Brazilian Blowouts and loves working on a wide range of services including colors, cuts, styling, and straightening services.